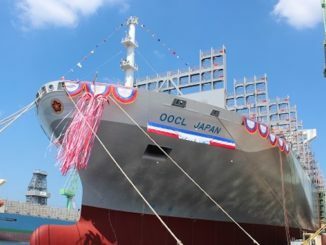 The Asian Shipowners’ Association has applauded Japan’s ratification of the Hong Kong International Convention for the Safe and Environmentally Sound Recycling of Ships, announced yesterday in Singapore. 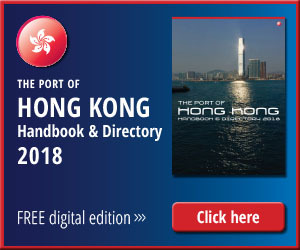 Adopted in 2009,the Hong Kong Convention has been ratified by just 10 nations in the ensuing decade; most notably dragging their feet have been India, a major centre for ship scrapping, and China, one of the world’s largest shipowners. Meanwhile, Hong Kong, home to the fourth largest register in the world, and symbolically linked to the regulation, can only become a party to the Convention that bares its name after China ratifies. In order for the Convention to come into force it must be ratified by at least 15 nations or the equivalent of 40% of the world fleet. 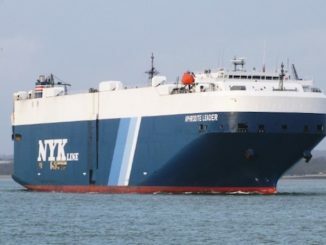 The patience of the European Union ran out in January this year when it unilaterally introduced the EU Ship Recycling Regulation. The regulation requires all end-of-life ships flying an EU Member State flag to be recycled at an approved shipyard included on an EU list of approved recycling facilities. The 26 approved shipyards are located in the European Union, Turkey and the US. “Shipping is an international industry and needs geographically-balanced green recycling yards throughout the world. Geographically-balanced ship recycling can only be achieved by international regulation,” ASA said in a release. The Hong Kong Convention covers the design, construction, operation and maintenance of ships, and preparation for ship recycling in order to facilitate safe and environmentally-sound recycling without compromising the safety and operational efficiency of ships. Under the Hong Kong Convention, ships to be sent for recycling are required to carry an inventory of hazardous materials, specific to each ship. Ship recycling yards are required to provide a “Ship Recycling Plan” that specifies the manner in which each ship will be recycled, depending on its particulars and its inventory. 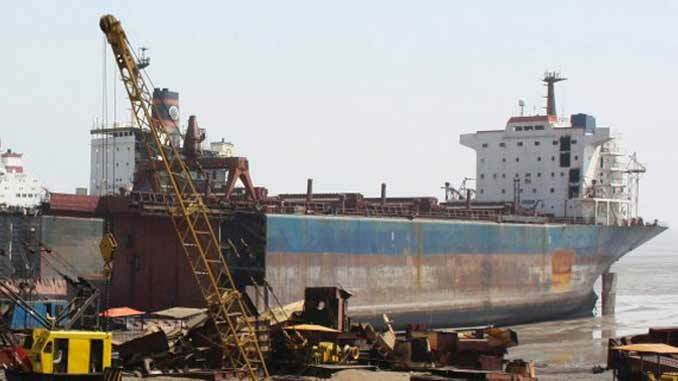 According to NGO Shipbreaking Platform, a total of 181 vessels were scrapped in the first quarter of 2019, including 142 ships using the beaching method. During the same period three worker deaths were reported along with four severe injuries. 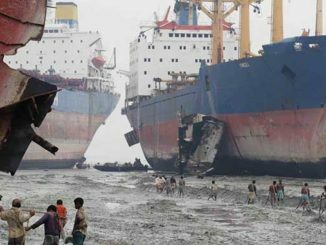 Shipbreaking Platform recorded five ships scrapped in accordance with EU regulations. However, at least seven ships were noted to have changed their EU-flag to a non-EU registry prior to demolition.